This is the second guest post in the Visit South America series which I started this year. It’s a monthly contribution about traveling to South America, contributed by travelers who are there or who have just been there. The guest posts will be replaced by my own posts when I arrive in Brazil in July 2015. I can’t wait! This month’s article is written by Amy Rigby, who tells what it’s like living in Cusco as an expat. The sun slips behind the faded brown hills surrounding Cusco, and I brace myself against the chill of another autumn evening in the Andes. Just back from a two-hour hike to the Temple of the Moon, a site of caves and rock carvings above Cusco, and still wearing our hiking shoes and backpacks, my friends and I explore a new bar in the trendy San Blas neighborhood with a panoramic view of the city below. Even though I met the Russian expat just a few hours before and the American expat less than two weeks ago, I call them “friends” because in Cusco, that’s what strangers quickly become. At a table across from us is a woman in her 50s, sitting alone and gazing at the sunset with a dreamy look in her eyes that I know too well. 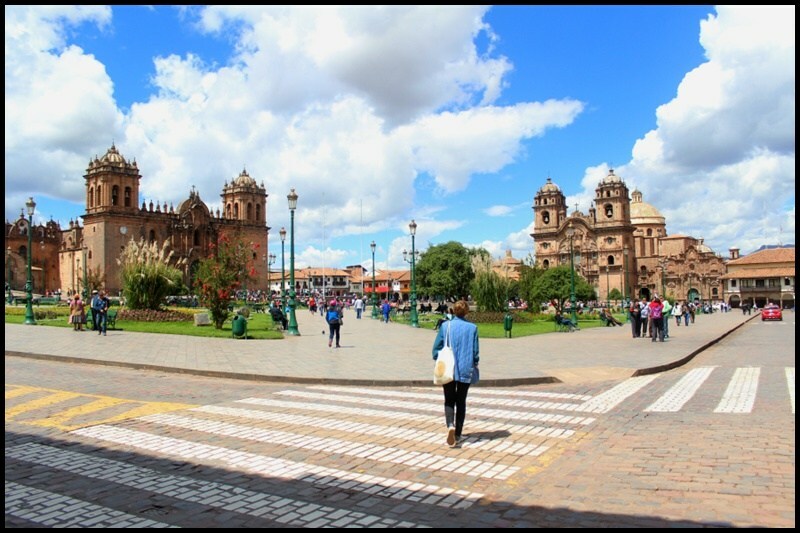 She tells us she is on the final leg of her nine-month round-the-world trip, and despite having arrived in Cusco just a few hours ago, she’s already fallen in love with the city. “I don’t want to go home,” she sighs. “Then don’t,” I say with a smile. I understood her dilemma. Living in Cusco was never part of my plans. At 23 years old, I had set up a freelance writing business that allowed me to work remotely, and declared that I would “travel the world” for a year. Setting foot on that plane bound for South America in 2014, I thought Cusco would be just a 10-day stop on my long checklist of places to see. Little did I know it would turn into a five-month stay. Traveling around Cusco, you’ll meet countless expats who came for a short visit and never left. What is it about this ancient city that enchants so many? While best known as the city you must fly into to get to Machu Picchu (one of the new seven wonders of the world), Cusco has much more to offer than that. There are countless treks leading to Machu Picchu besides the famous Inca Trail, such as the Salkantay Trek, a (literally) breathtaking five-day hike that leads up to 15,200 feet at its highest point. 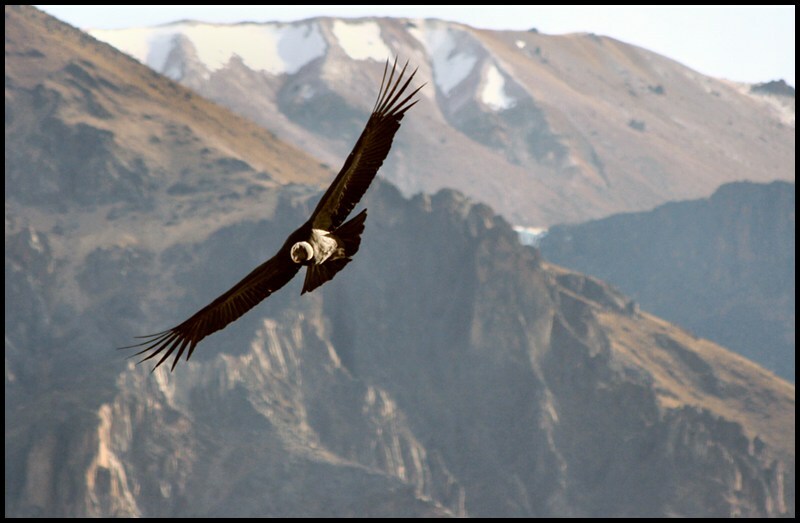 In addition, just a plane or bus ride away is the Amazon rainforest, Lake Titicaca (the highest navigable lake in the world), and the Sacred Valley (where you can find salt mines and an ancient Inca agricultural site). Cusco is the perfect base from which to explore some of the most beautiful landmarks in the world. Cusco’s combination of old and new, indigenous and foreign, and metropolitan and rural creates this delicious tension that energizes the city, and to live there is to be a part of it all. 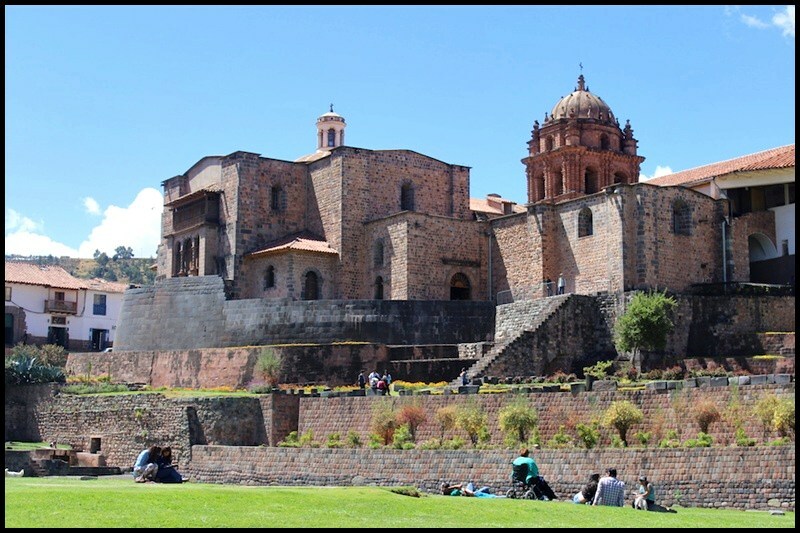 As the oldest continuously inhabited city in the Western Hemisphere and a UNESCO World Heritage Site, Cusco has remnants of its past that linger on every corner and collide with the modernity brought by the thousands of travelers who pass through weekly. The Plaza de Armas, the main square of Cusco. The Cusco Cathedral is on the left. Baroque churches erected by the Spaniards tower over the camera-toting foreigners headed to Machu Picchu. 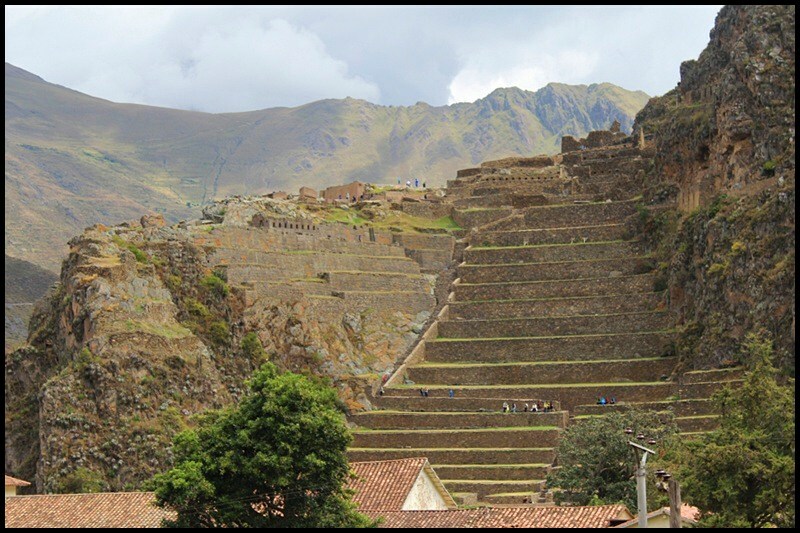 Perfectly-formed stone walls built by the Incas compete for space with corporate franchises from the Western world, such as the Starbucks that overlooks the main square. Cusco sometimes seems like one giant contradiction, and that is part of what makes it so fascinating. The Convento Santo Domingo, built atop the once most important temple in the Inca Empire. The cost of living in Peru, compared to the United States, is very low. At the time of writing, the exchange rate for the Peruvian nuevo sol is about 3 soles to 1 U.S. dollar. Minimum wage in Peru comes out to about $1.34/hour, compared to the U.S. federal minimum wage of $7.25/hour. It is important to note that because Cusco is such a tourist hotspot, prices are higher than in other cities in Peru. 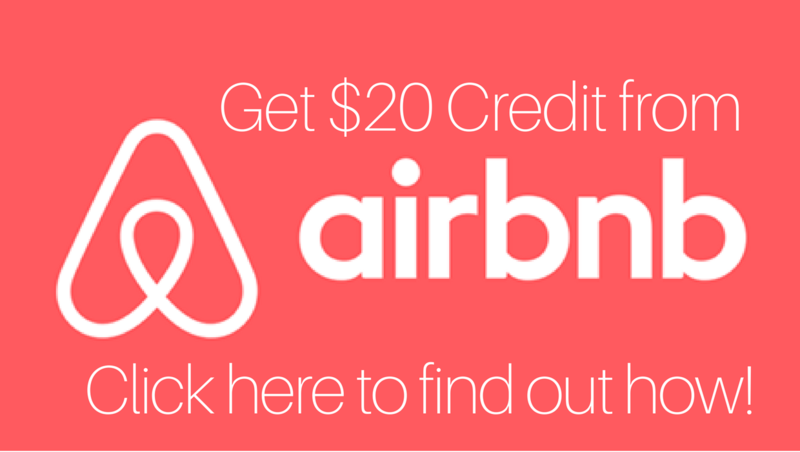 I paid about $180/month for my one-bedroom apartment close to downtown, which is shockingly low compared to the $1,200/month I used to pay for a studio in the San Francisco Bay Area of California. 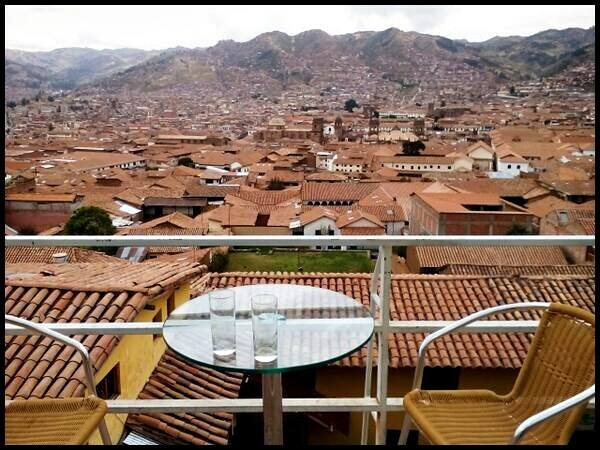 You can live comfortably in Cusco as an expat for $500/month. Don’t expect anything to get done quickly, and make sure you assert yourself when you want something. In restaurants, customer service standards are different. The waiter doesn’t stop by your table unless you call attention to yourself, and you will never be brought the check unless you ask for it. Even in seemingly well-organized business settings, such as the non-profit I volunteered in, things are laidback. For example, employees had no problem stopping work in the middle of the day to throw a despedida (farewell party) for a coworker, and scheduled meeting times often weren’t honored. My American friends and I talked about this difference often; we joked about how we had never met a Peruvian with a Type A personality, as in someone who is stressed out and a perfectionist. People in Cusco tend to go with the flow, let things slide more easily, and just enjoy life. Peru is renowned for having some the best food in the world. In Cusco, expect to put on a few pounds with the local fare. No meal is complete without corn, potatoes, rice, and meat, though there are several vegetarian restaurants available, such as Green Point and Natural in San Blas. 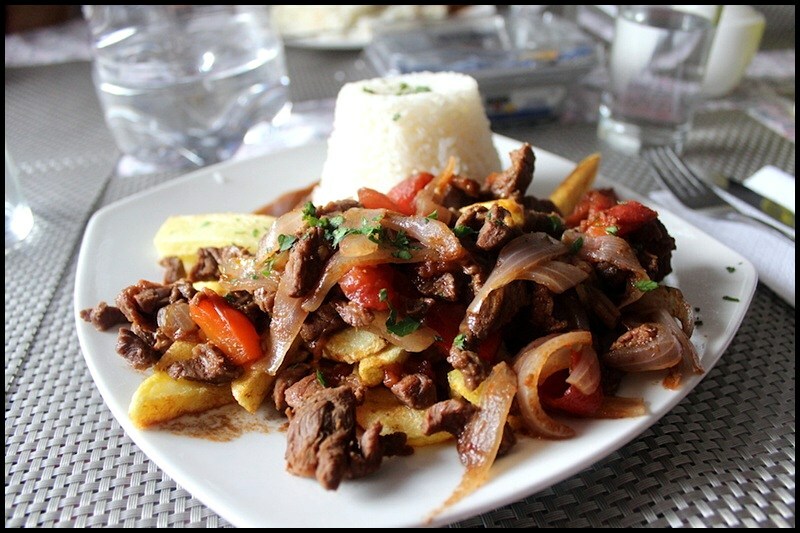 Lomo saltado consists of sauteed beef, tomato, and onion with soy sauce, served with fries and rice. 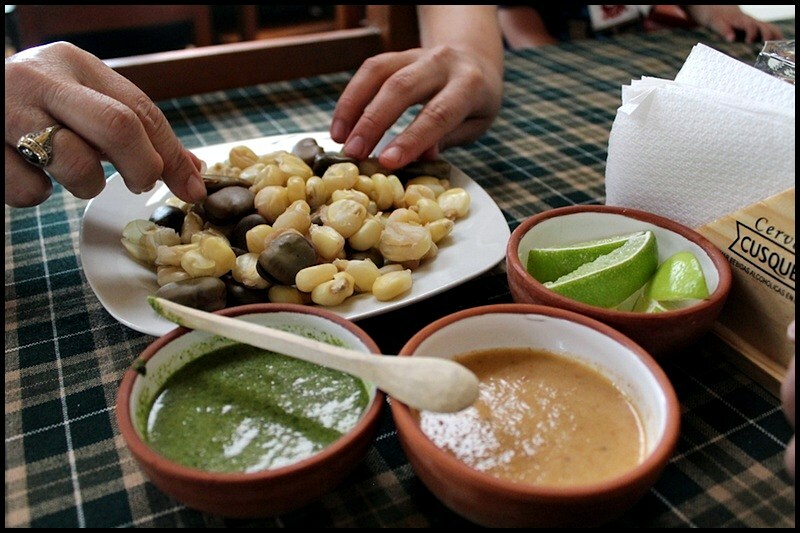 Corn kernels with sauces are a popular appetizer in Cusco. And what would a conversation about food in Cusco be without mentioning cuy al horno? 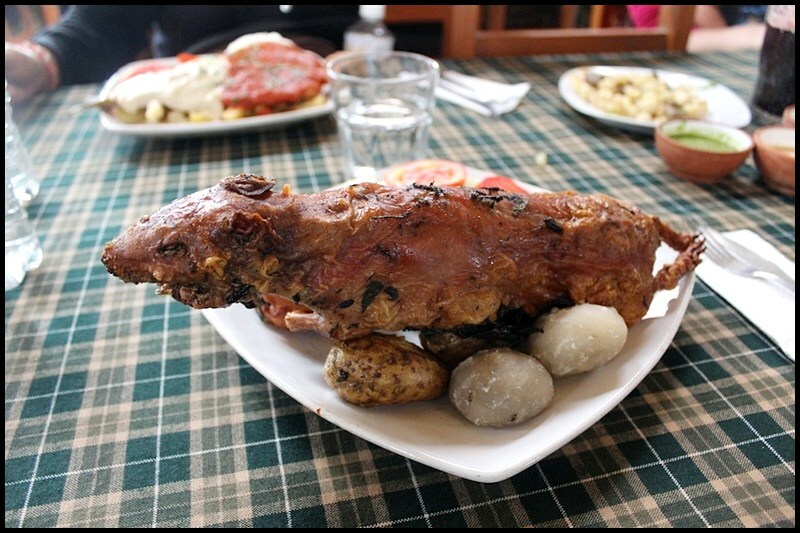 Yep, that’s baked guinea pig, a delicacy in Peru usually reserved for celebrations like birthdays. A hearty lunch of soup, a main entree, drink, and dessert can be had for as little as 3 soles, though eating at low-priced dives and street vendors is risky, as foreigners often can’t stomach the bacteria in the food. I rarely ate street food, though my more adventurous expat friends frequently did (and often suffered the consequences for a couple of days). My usual lunch cost me 10 soles, about $3.23, which is still a good deal. It’s obvious I adore this city, but I won’t pretend life in Cusco is idyllic; it wouldn’t be fair to gloss over the harsh realities of life in a developing country. It certainly isn’t for everyone. If you would like to live in Cusco as an expat, you must possess a certain cultural awareness and sensitivity. There is real poverty there, a lack of resources, and hardships that I may never fully understand as a foreigner. There were days I grew frustrated at the slow Wi-Fi, the water shutting off at night, the cold evenings, and the lack of heating (all petty complaints, I realize). However, even these things can be viewed as a benefit of living in Cusco; they teach you how little you actually need to be happy. The fact that so many travelers fall in love with Cusco and, despite its imperfections, choose to stay, attests to the undeniable charm of this city. Cusco defies explanation; you have to experience it yourself. Just don’t be surprised when you never want to leave. 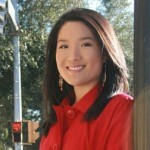 Amy Rigby is a freelance marketer and writer who runs The Wherever Writer travel blog. In 2012, she packed her belongings into a car and drove to California. A year and a half later, she packed what she needed into a backpack and flew to Peru. Her first book, An Expat’s Guide to Living in Cusco, comes out in March 2015. 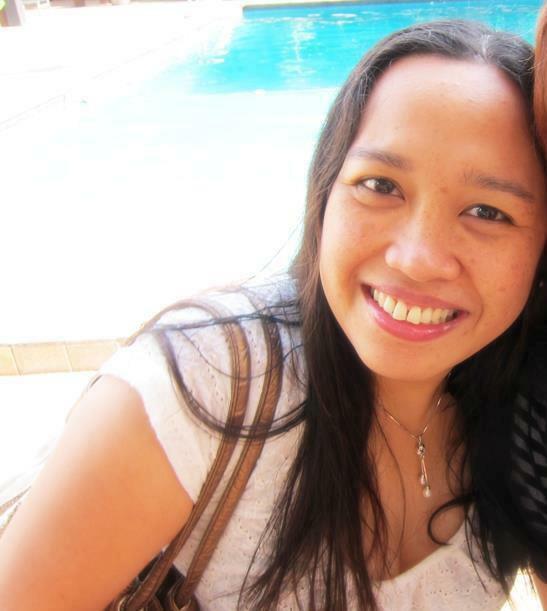 Follow her on Facebook and Twitter. Great post! I’m choosing where to next and your post gave me some great insight! How did you go about making friends? I am currently an expat and having trouble. I don’t really know any spanish and it seems like all the tourists have crowds of people. 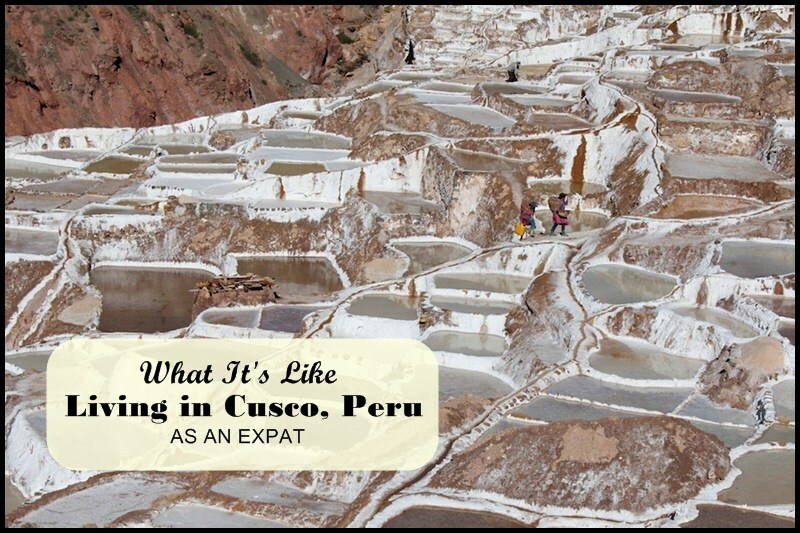 Excellent info – I’m flying to Lima & then to Cusco in 8-days…excited! Cusco sounds amazing! My brother went to Peru last year and hiked the Inca Trail, and his pictures of Cusco are so beautiful. It looks like such a clean city. Those corn kernels are huge, by the way! HI Dana. 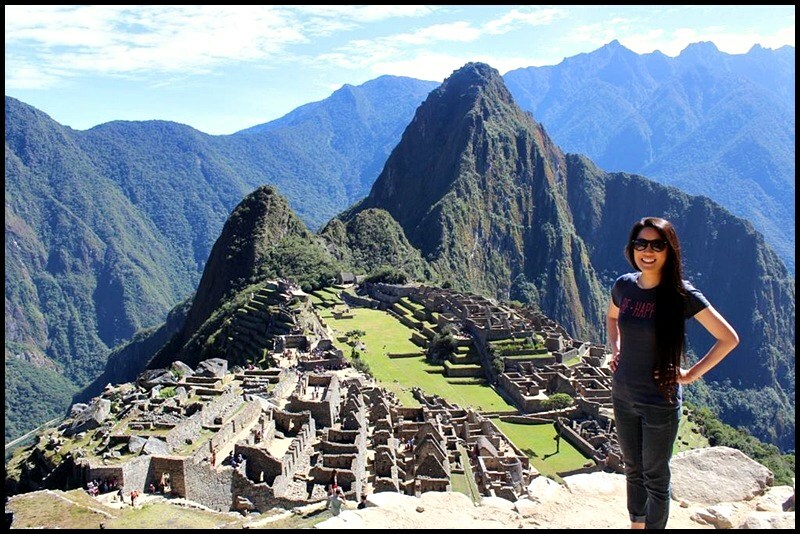 I’m really excited to visit Cusco myself after reading Amy’s post. Hoping to be based there as well for a few months. Yeah, those corn kernels are huge! Ours in the Philippines are much smaller! I’m not suprise that you fell in love with Cusco, it sound incredible! It really sounds great. Amy has convinced me to check it out as a potential base when I arrive there next year. Peru sounds so lovely! We visited Cuzco on our honeymoon in 1982 (yes, I’m THAT old). That was the only vacation on which I lost weight because we weren’t there long enough to adapt to the altitude and I had a headache and loss of appetite for the entire time we were there. I don’t think I would have been tempted by the cuy anyway. The good news is that by the time we traveled DOWN to Machu Picchu at a mere 8,000 feet, I felt fine and I was even able to hike up Huyana Picchu. Suzanne, that’s quite a honeymoon! You’re brave. I was way too afraid to attempt climbing Huayna Picchu. I saw a video on YouTube where the steps leading up to the mountain are tiny little ones carved into the mountain itself…terrified me. But I bet the view from the top was gorgeous!